Remember how awful American Indian boarding Schools were? 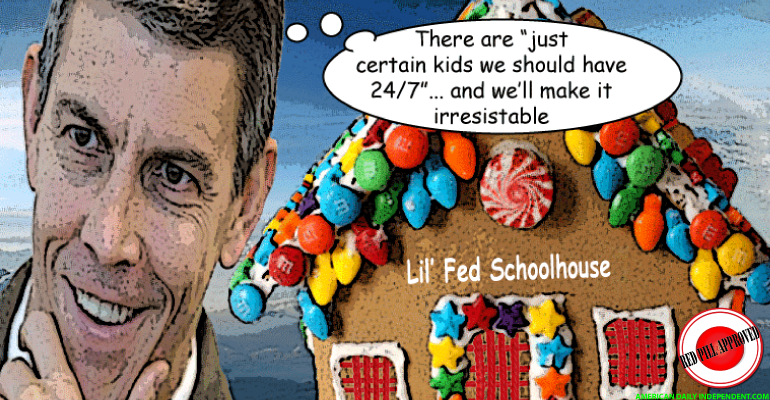 Arne Duncan doesn’t…. Tuesday in Arlington, VA, at the Youth Violence Prevention Summit, Education Secretary Arne Duncan proposed government-run public boarding schools which would be open 24 hours a day, seven days a week. For the government, it was a possible solution to the so-called Indian problem. For the tens of thousands of Indians who went to boarding schools, it’s largely remembered as a time of abuse and desecration of culture. Only ideas like this could come from inside the beltway and some idiots think it would be a good idea. Yea, I want more government in my life, right. Screw them and the horse they rode in on. Less government would be just fine. I can survive quite nicely, thank you. James Clavell wrote a short book about this sort of schooling, A Child’s Story, back in the 1960’s. Arne Duncan has made it his doctrine. Arne Duncan, just like the rest of the current administration, is a moron. I think TUSD’s MAS program qualifies as a madrassa. Brainwashing rules the day.